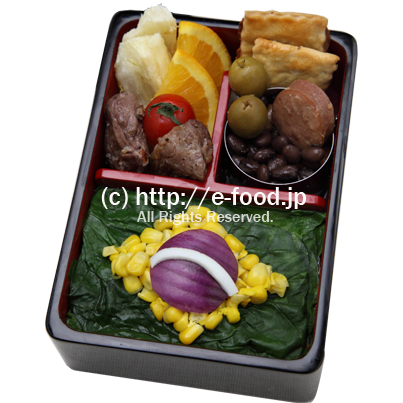 Here is Brazil Bento with Feijoada, Pastel and Manioc, etc. 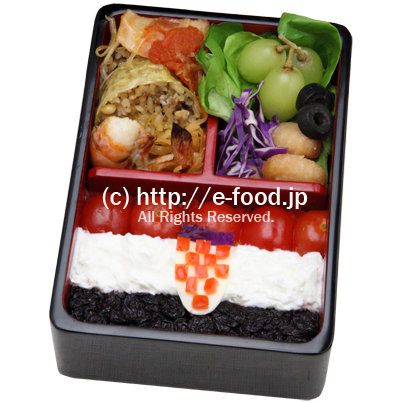 Here is Croatia Bento with Sarma, Croatian Stuffed Cabbage and etc. Grapes for dessert. 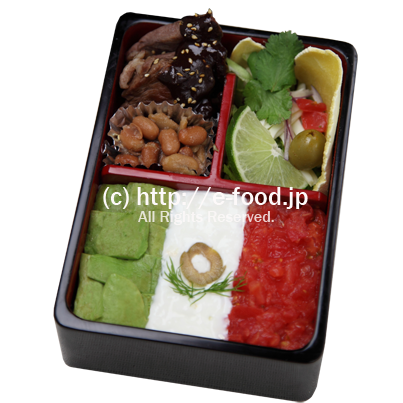 Here is Mexico Bento with Tacos, Mole Poblano with meat, etc. And of course, avocado from Mexico. 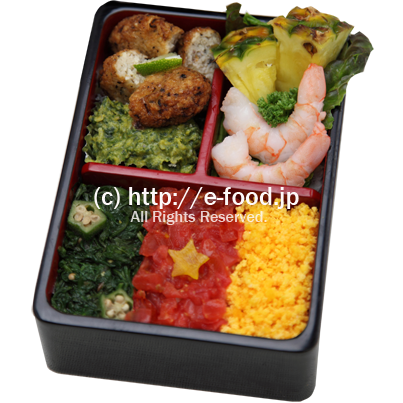 Here is Cameroon Bento with Akara and okra & spinach stew, etc. 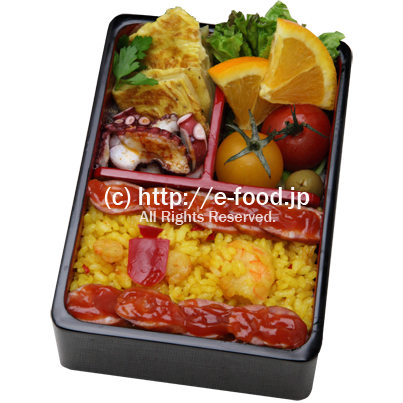 Here is Spain Bento with Paella, Chorizo, Tortilla and Polbo á Feira. 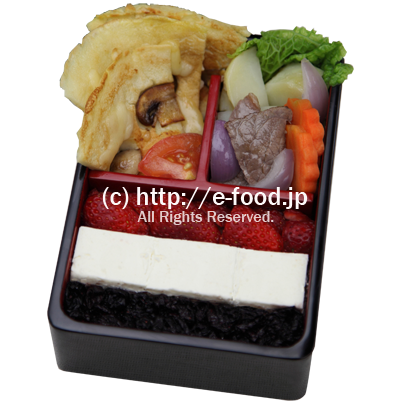 Here is Netherlands Bento with Pannekoek and vegitables & meats a la Hutspot. 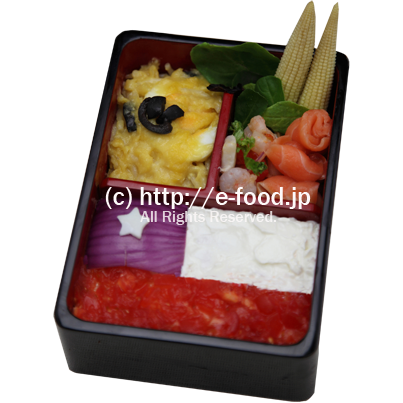 Here is Chile Bento with Pastel de Choclo, Ceviche and Chilean salmon. 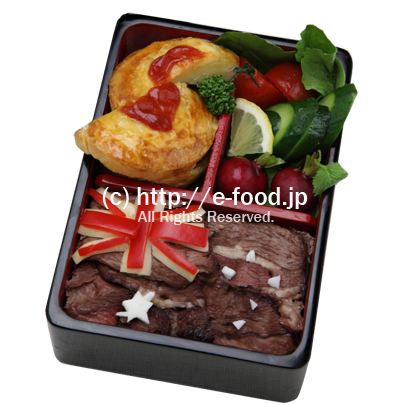 Here is Australia Bento with Aussie Beef & Australian Meat Pies. 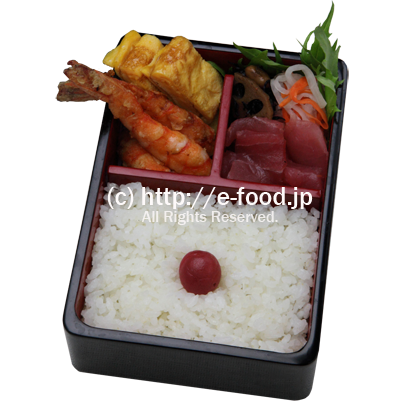 Here is Hinomaru Bento of Japan. 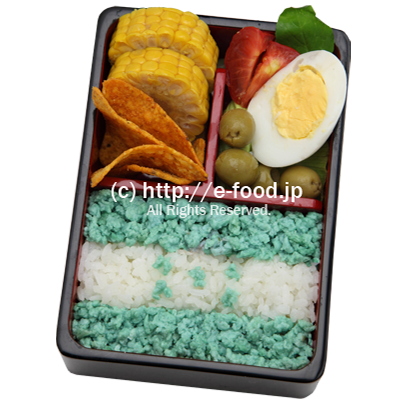 It’s definitely the original national flag bento . 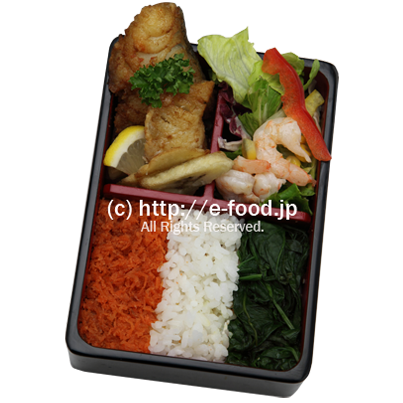 Ebi (Shrimp) Tempura, Tamago-yaki (Japanese Rolled Omelette), Sashimi, Namasu (radish & carrot salad), Hijiki (Simmered seaweed) and white rice & Umeboshi (pickled plum) on red point of the flag. It’s healthy. 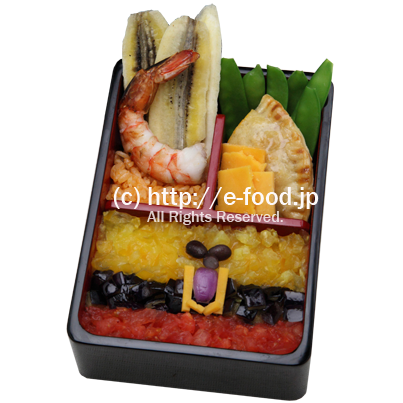 Here is Cote d’ivoire Bento with Poisson Braisé and Fried Plantain. 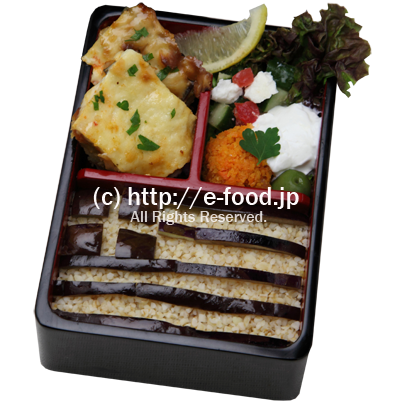 Here is Greece Bento with Burghul, Moussaka, Greek salad and carrot salad of meze, etc. 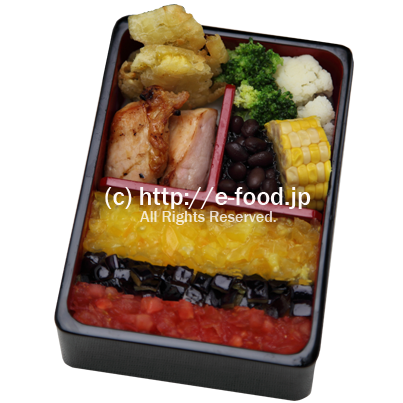 Here is Colombia Bento with Pollo Asadas a Estilo Colombiano, Fried Cassava, black beans and corn, etc. 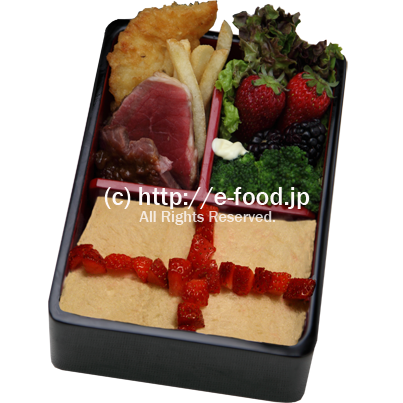 Here is England bento with Fish & Chips and Roast Beef. Strawberry and Blackberry for dessert. 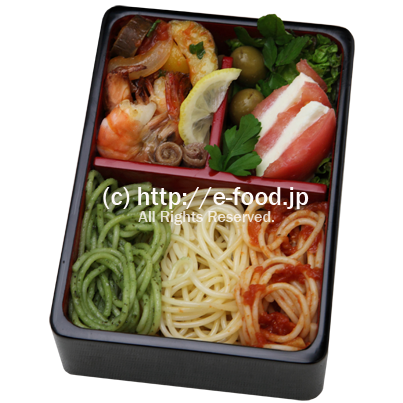 Here is Italy bento with three types of pasta, Caponata and tomato & mozzarella. Plus olives and anchovy, etc. 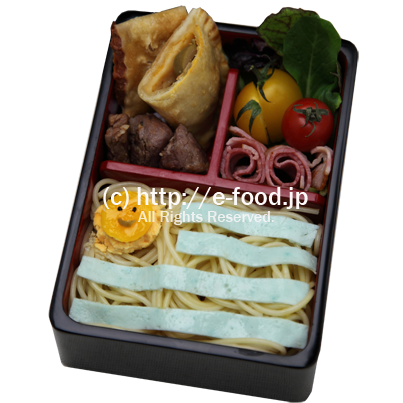 Here is Uruguay bento with empanadas, asado and pasta, etc. 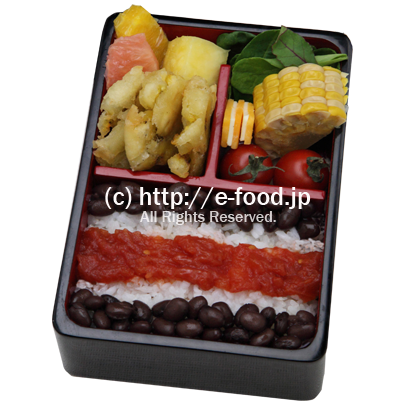 Here is Costa Rica bento with frijoles and rice for Gallo Pinto and Fried Plantain, corn and fresh fruits. 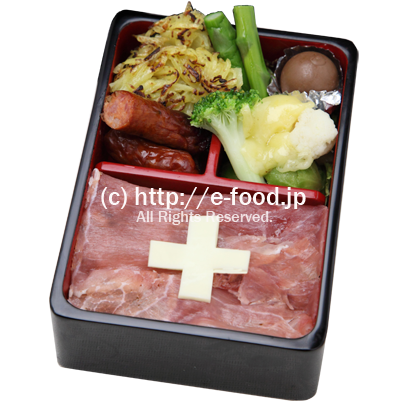 Here is Switzerland bento with Emmental cheese, hams, Rösti, sausages and Raclette. Swiss chocolate for dessert. 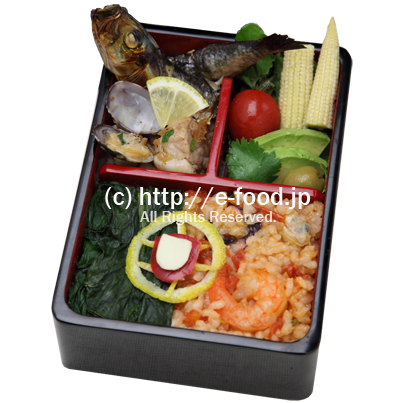 Here is Ecuador bento with Fried Banana and Arroz con Camarones and Empanadas, etc. 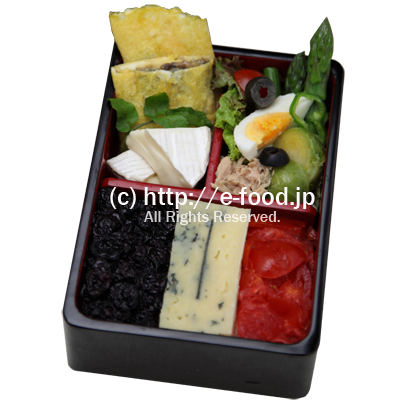 Here is France bento with Camembert & Roquefort cheese, Omelette aux Champignons and La salade niçoise, etc. 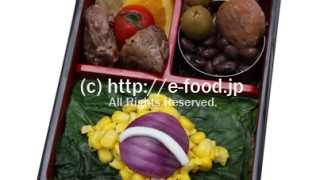 Here is Honduras bento with Corns and Tortilla Chips and etc. Pale blue scrambled eggs are made from white eggs and purple fleshed sweet potatoes by chemical reaction. 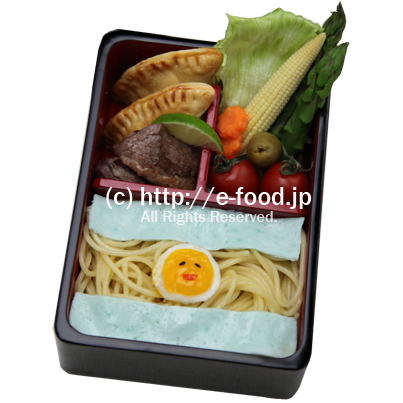 Here is Argentine bento with Empanada, Asado and pasta by Italian immigrants. Beef is very popular in this country like Uruguay. 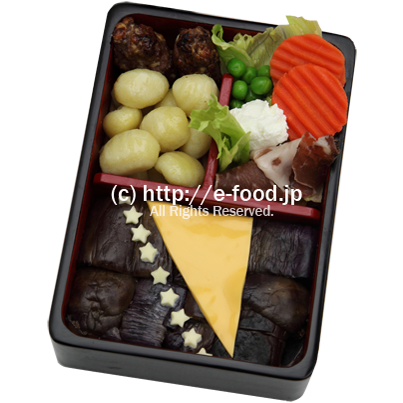 Here is Bosnia and Herzegovina bento with Chevapchichi, potato gnocchi and raw hams, etc. 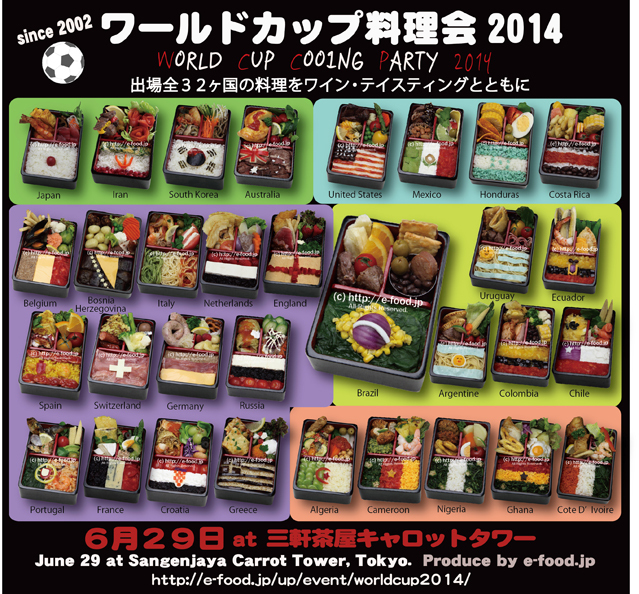 Some foods has an influence of Turkey. 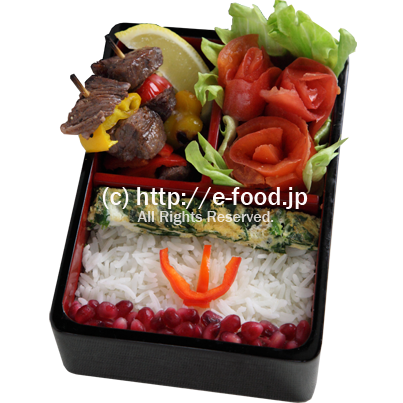 Here is Iran bento with Kebab, Kuku, long grain rice and pomegranates. And tomatoes which modeled roses of Iran origin. 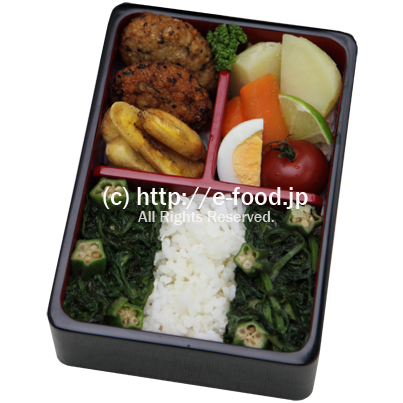 Here is Nigeria bento with okra & spinach sauce, fried plantain and black eyed beans croquettes, etc. 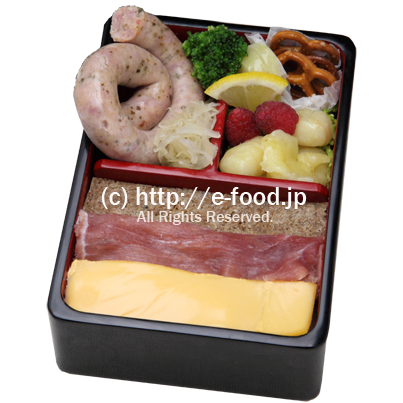 Here is German bento with wurst, Sauerkraut, potatoes, small Brezel and black rye bread in the flag. Here is Portugal bento with Porco a Alentejana, Sardines grillées à la portugaise and Arroz de marisco in the flag. 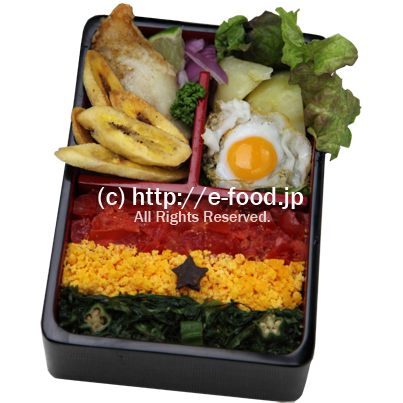 Here is Ghana bento with Fried Plantain, fish fry and Okra & Spinach sauce. Ghana Chocolate for black star in the flag. 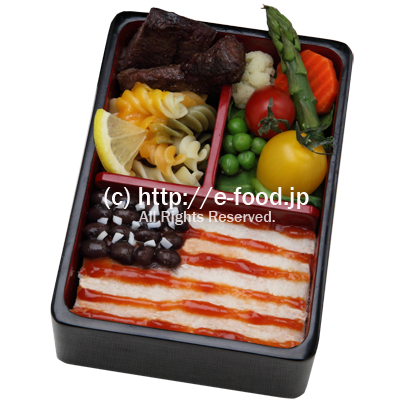 Here is United States bento with Beef Steak and Macaroni & Cheese. And tomato ketchup on red stripes of the flag. 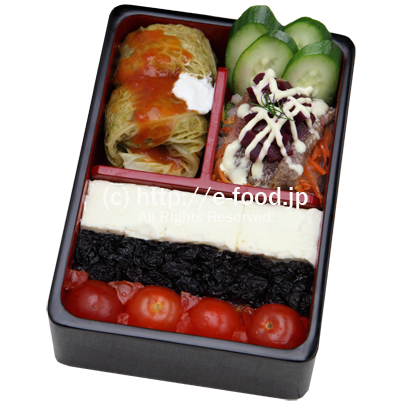 Here is Russia bento with Russian Stuffed Cabbage and herring & beetroot salad with sour cream. 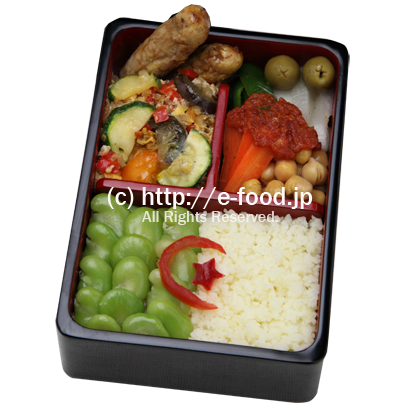 Here is Algeria bento with couscous in white of the flag, Shakshouka, Merguez, olives, and etc. 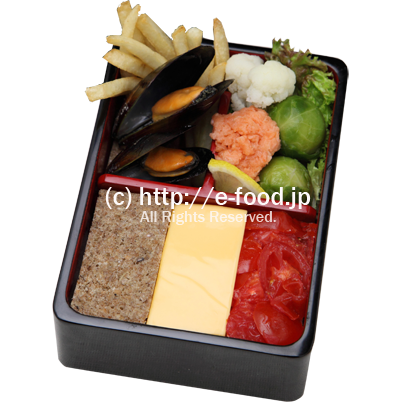 Here is Belgium bento with Frites, Moules au vin blanc and salmon pate, and etc. 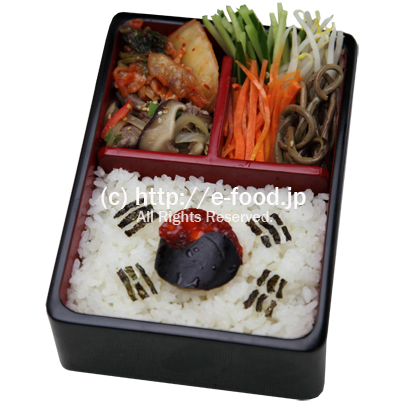 Here is South Korea bento with Chapche (Korean Glass Noodle), Fried Kimuchi and vegitables for Bibimbap.